Thank you Lori. We have 4 strong departments with an excellent staff. Whether I win or lose the people working here need to stay. They all put serving the public first. Nice article Steve and Amanda. I couldn't agree more. Delivered today! The correct envelopes for the current election were delivered today. If you have already voted you can ignore these envelopes. If you have not yet voted these are available to use. I feel very fortunate to have the Washington State Farm Bureau's endorsement this year. Being the daughter of a farmer, their endorsement is especially gratifying. My work ethic and commitment to doing the job right comes from my parents. Extremely happy to have the Republican Party endorsement. I have worked tirelessly to earn the support of the people I serve. Please share this post. I want to thank all of you for voting in this primary. Personally this was a really nice win and I can't thank all of you enough for your support. Tomorrow I begin the run to November. Please read carefully. One candidate has the facts, knowledge, and experience, the other just throws out phrases that in most cases have nothing at all to do with being the auditor. It would be funny except for the fact they could never do the job and would severely hurt the county. Makes you wonder why they want the job when they don't even know what and auditor does. 1. Initiatives are not voted on in the Primary, they are voted on in the General election. 2. P.U.D. races will only be on Primary if 3 or more are running. 3. Commissioners are only voted on by the voters in their district in the Primary. The entire County will vote on them in the General election. Met with Dan Newhouse in DC last week. I had a chance to talk with him about Grant County and Dave (with some of his staff) spent some time explaining an educational program needing continued support. Dan as always was extremely cordial and a good listener. 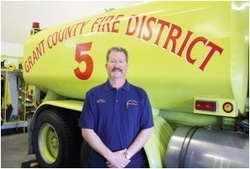 He has close ties to our area and has always supported Grant County. Had a nice evening at Don's Restaurant in Soap Lake. Great people, food, and auction. 3 days and counting. Had a fantastic night at the The Farm Bureau Dinner. Pillar Rock put on an amazing dinner (thank you Richard Callahan) and the entertainment was really cool. The Peterson Farm Bros were the entertainment and left the girls swooning. Sam Krautscheid did a nice job keeping us laughing as the night went on. Really enjoyed talking to all of the candidates who, like me, are ready to win and get started. I was very excited to see the Columbia Basin Herald's online poll for Grant County Auditor. I have been working all along with the goal of winning the election with a 70% margin. Now it comes down to Tuesday. Michele's opponent recently stated: "Thank you, and together we can make Grant County the greatest county in Washington." He is too late. Grant County is already the greatest County in Washington. Anyone who has lived here for any length of time will tell you that. Had an impromptu lunch with Tom and Dayna Dent today. Ran into them at Bob's in Moses Lake as we were putting up one of my big signs. The wind has not been kind to that sign. It was a nice, although short break from campaigning. Dave, Sandy, and I had just gotten back from Grand Coulee and Electric City where we were visiting with people when we heard my sign was down. As it turns out we had a really good chance to talk about our campaigns and compare notes. They have been a great help to me and I look forward to visiting Tom in Olympia in my role as County Auditor. November 4th is right around the corner. I hope everyone takes the opportunity to vote. So many Americans have paid the ultimate price giving us that freedom. 4 Votes for Michele Jaderlund. The Committee to Elect Michele Jaderlund will be working till Nov. 4 to keep the votes coming in. Hopefully her 23 years of Grant County experience will be a major factor over her opponents 2 years. To quote several of the candidates from last night..."Experience Counts"
American Legion speeches tonight. Michele was awesome and her Q & A session showed her experience and knowledge of Grant County. This was a real high point for the Elect Michele Jaderlund team. Wanted to make sure to recognize Tom Dent's response to a question on leadership. He was rock solid with his answer and it may have been the high point of the night. Former Grant County Sheriff Frank DeTrolio and I got to spend some time talking politics at the Fireman's breakfast. It's always nice spending time with Frank and his wife. They wished me well and I told them I am ready for the final push. I really appreciate their support. Forget the Campaign for a minute...Congratulations to Berenice for becoming an American Citizen yesterday. We are all so very proud of you. By the way, Rebecca Freeman made the American Flag cake. It was as great tasting as it was good looking. Campaigning today. Sandy, Katie, Dave and I were hard at it. Can't thank them enough. Katie survived a dog attack and kept plugging away. These are the kind of people I work with. They are the reason I will be auditor. 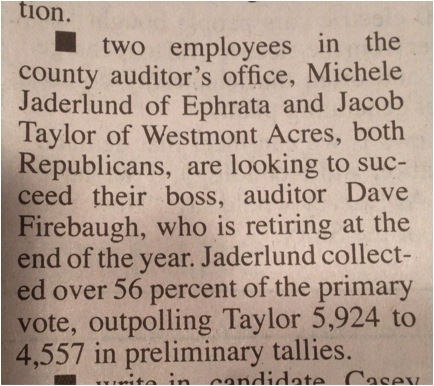 They deserve an auditor that loves Grant County and works for the people. Seed Cupboard Nursery in Royal City. Fall Festival and Vintage Fair this weekend. This is a DON'T MISS event. Plan on eating at the Garden Grill while you are there, it's terrific. Had a terrific night at Tom Dent's BBQ Dinner and Ice Cream Social. Tom has built a strong group of supporters who all appreciate his endless energy and commitment to a clean campaign. With Dayna by his side he can't lose. A big thank you to the Perkins family for supporting me and taking the time to write a letter to the editor with their endorsement. As the election nears I promise I will not depart from my message of fairness, transparency, and service to the public. I have lived and worked here for over 30 years and am committed to Grant County. After The Columbia Basin Buddy Walk we decided to continue the day by putting up signs around Moses Lake. I feel very fortunate to have so many people allowing me to used their yards for my signs. Once that was done we headed home to R&R. That didn't happen. Once home I told Dave we should head out to Wilson Creek and take a "Michele for Auditor" shirt to Debbie Moore, the owner The Harvest Moon. She has been a great supporter of me and I wanted to thank her. Little did we know there was a party going on in Wilson Creek. Pulling up to The Harvest Moon the street was lined with cars. Music was playing and the place was rocking. Dave immediately met 4 former students and 3 former football players. He was lost for the night. I gave a shirt to Debbie and that opened the flood gates. I don't know how many shirts were passed out but it was a lot. I've said it before but if you haven't been to the Harvest Moon you are missing out. This is a great place. What was going to be a short stop turned into several hours and very fun night. Ever have one of those days where you wake up and think this is going to be a long difficult day only to find out it was one of those great days. Saturday was just that. The original plan was to campaign all day and it started well. First stop Dave met a nice young couple who had a 65 mustang in their garage. I would get to hear about that all day. The next house changed everything. The woman who answered was very polite and as we left she came out and told us about the "Columbia Basin Buddy Walk" later that day. Said we should stop by. We said we would try. The more we campaigned the more we became determined to go to the walk. Well at 11:00 we left the campaigning and watched Landon's soccer team win a hard fought soccer game 4-3. Next, lunch at Tacos El Rey and it was great. We campaigned till 3:00 then on to McCosh Park for the walk. This was amazing. Music was playing people were dancing. BBCC softball team and Moses Lake cheer were there to cheer on the teams. All I can say this will be a yearly event for us. Our day could have ended there but as it turns out it was just the start. cont. Ifiber one has put out the Farm Bureau story. EPHRATA -- The Washington State Farm Bureau is endorsing several Grant County candidates. The full story can be found at the link below. Congratulations to Dan, Melissa, Cindy and Daryl for their Washington State Farm Bureau Endorsement. I know they are as proud as I am to get their support. I just received the Washington State Farm Bureau's endorsement today. This has been a highly scrutinized process and one that reflects over a month of intensive investigation by the Grant County Farm Bureau. I am honored by their selection and consider this a true indicator that my message is the right one for the people of Grant County. Another great night at The Hot Rod Garage. This is a fun group who really have their pulse on Grant County. Mick was in his usual form as host passing out fines and asking questions that show our age. The guest speakers provided a clear picture of their positions and had to be ready for tough questions. You better be ready if you are speaking because these people are informed. CONGRATULATIONS to Dan Newhouse who received Doc Hastings endorsement yesterday. In a very close race against two strong candidates this is huge. I have met Dan several times and have heard him speak on many occasions. He is an honest man who is quite humble. I like him and hope him well. Beautiful day at the Warden Community Parade. Got to meet a lot of people from Warden today. It was fun to hear all the positive comments about Melissa McKnight's husband Chris who is Principal at the Middle School. I find it interesting how both Dave and Chris have ended up as Middle School Principals in Warden and Royal. It seems like yesterday that Dave was coaching and Chris was playing on the State Championship Football team for Ephrata. Really appreciated Sandy, Cathy, Lori, Kory, Lance, Emma, Katie, Veronica, Laycee, Taylor, Tayton, and Dave for supporting me today. Had some great food and enjoyed talking to Rick Martin, Chief of Police and Chairperson on Warden School Board. I was fortunate enough to meet Doug Skone and Aaron Golladay on Saturday at the PAWs Fundraiser. These people are working to make Warden a great Community. Just another reason why I want to be the best possible Auditor. My heart and soul are in Grant County and always will be. Thanks Tim for your support. Tim oversees all the departments in the city running the following departments: Clerk’s, Finance, Planning/Building, and Public Works. Tim is the liaison for the Mayor and all of the Council members. The City Administrator is the Human Resource Official and is responsible for the administration of the personnel policy and union contracts. 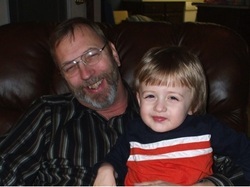 Tim Snead has lived in Moses Lake, Washington all his life. His family owned the John Deere dealership, Snead Tractor & Implement, for many years. 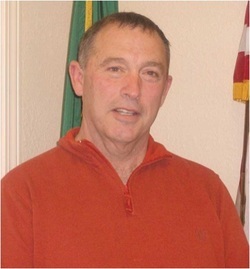 From 1993 to 2004 he was a Grant County Commissioner. John Turley - I want to thank Mattawa Police Chief for supporting me. I have known Chief Turley for many years and enjoyed meeting him again after the Mattawa Parade a couple of weeks ago. I know he is doing a great job in Mattawa and the people are lucky to have him there. Dave had an opportunity to sit in on a Tea Party meeting Tuesday night. Sounded like an informative meeting but I wanted to comment on one thing that Jacob Taylor said. At one point he was saying the current Auditor was "Rarely at work" and when he was at work Jake is down learning the office from him. He went on to say that if he was elected he would bring the auditor back for 4 months to help train him further. My comment is...why be trained by someone who is rarely there, why spend an extra $20,000 on someone you say is not committed in the first place. I will not require training when elected, I know the job and know where to get the answers (for free) when I need help. Those resources are already in place. That is how you govern. To quote Ronald Reagan, "I want you to know that also I will not make age an issue of this campaign. I am not going to exploit, for political purposes, my opponent's youth and inexperience." Thank you to Lake Warden Resort for putting up a Large Sign at their resort. This resort is located tucked away from the hustle and bustle. The area is beautiful and the property extremely well kept. Melissa, Tom, Dayna and I in Mattawa preparing for the parade. I believe it's events like these that make the foundation for a campaign. You don't do these for the vast number of votes they generate. You do these because these are the people you will be serving. Every face was smiling, laughing, and having fun. This is why I love Grant County. And...I know Melissa and Tom feel the same way. I had a nice conversation with Dan Newhouse at the fair last night. I appreciated him telling me he would be voting for me if he lived in Grant County. We had a cordial discussion about Janea (who he knows I was backing) and he was very appreciative of her candidacy. I could tell he respected her as much as Dave and I do. It was nice to hear he was supportive of my bid to be auditor and I wish him well in his run for Congress. My display at the Grant County Fair. I learned a lot today. 1st, there is no way to have enough balloons inflated fast enough for the people coming through. 2nd, people really like the fact the we are air conditioned. 3rd, It's a lot of fun having Missy and Cindy across from me. 5th, Mother Nature has her own way of letting us know who really is in charge. As of August 7th I have received 56.52% of the votes for Grant County Auditor. My goal is to have 70% of the vote in November so I will be hard at it for the next 3 months. I will be doing my job getting ready to support the people of Grant County. 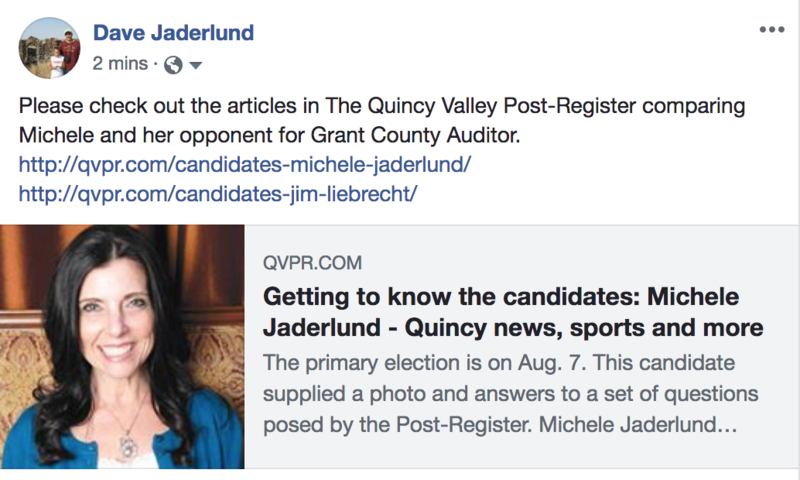 I look forward to seeing you at the fair and will be anywhere and everywhere to get the word out that...Michele Jaderlund is the best candidate for serving you as Grant County Auditor. July 18, 2014 - Ballots were sent out Wednesday. We should all be getting them today or tomorrow. This is an exciting time and I need all of you to cast your votes. This is an especially important race for our congressional seat also. We need to make sure we send the best person for the job. 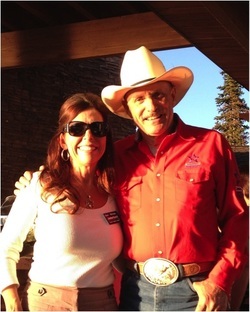 April 28, 2014 - Janéa Holmquist gave her endorsement to me today. I had a nice conversation with Janéa today and we discussed ways to work together to meet our constituents and prepare for the upcoming election. We will be having a Meet and Greet very soon and would love to see you there. commitment to serving the people has been an inspiration to me. Tom Dent, a Moses Lake businessman, is running for the seat being left by state Rep. Judy Warnick, in the state House of Representatives. 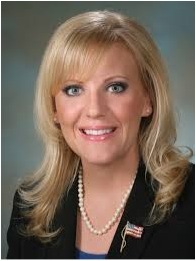 Kim Allen - Grant County Clerk. hard worker who always has the best interest of the people of Grant County. and property value assessments should be fair and equitable. Melissa and Michele began working at the Courthouse at about the same time. McKnight started working for the county 23 years ago, and previously worked in Grant County District Court. 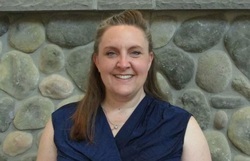 She has been the county’s public records officer for the past seven-and-a-half years. Melissa and Michele both have endorsed each other. I have had the pleasure of working with Michele Jaderlund for a number of years. Not only is she is hard working and not afraid to tackle the tough issues, her work ethic and and principles are beyond reproach. 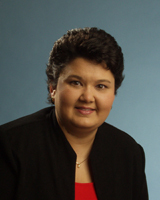 Her years of experience make her extremely knowledgeable about the various functions of the Auditor's Office. 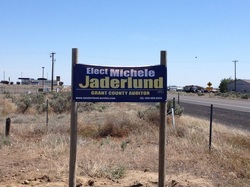 I am pleased to support Michele Jaderlund for the office of Grant County Auditor. 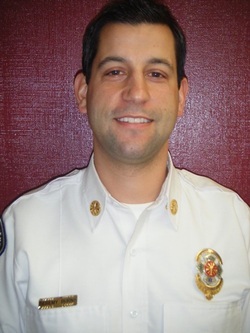 Michele has received the endorsement of Dan Smith as well as Battalion Chief Rick Wentworth, Captain Robert Horst, Lieutenant Brandon Burton, and Kelly Wallace. 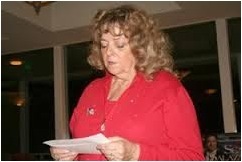 Linda Bishop has been president for 7 years and served 2 years as club secretary. She has had 2 legislative lobby terms. She attended the 2012 Republican National Convention. She is presently serving as recording secretary for the WRFW. what you need and I will get it to you.